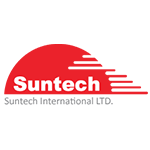 Suntech is a major Korean satellite monitoring equipment manufacturer. The Company was founded in 2001 in Seoul where they started global market expansion. Originally Suntech was engaged in cell-phone components distribution, but since 2004 refocused its activities to become GPS-equipment developer and manufacturer. Company products are designed to track various vehicles, manage stationary assets and control real-estate condition, also being used for personal tracking purposes (humans and pets). The chart below shows the changes within the last 30 days in the number units of Suntech devices type are connected to Wialon Data Center.